As more states legalize marijuana use, there’s a growing perception that pot is benign. But that’s not necessarily the case – especially in young people. There is still much to be learned about the effects of sporadic and occasional marijuana use on adolescent brains, said Dr. Thomas Strouse, medical director of the Stewart and Lynda Resnick Neuropsychiatric Hospital at UCLA, in an interview with KPCC. "We know something about the effect of heavy use on the developing brains and that's pretty worrisome," he said. Adolescents who use marijuana regularly or heavily are more likely to meet criteria for a substance use disorder. “The human brain is still developing well into the early 20s. Heavy recreational use of marijuana may harm that development and alter certain brain functions,” said Strouse in a recent opinion piece for STAT. Strouse told KPCC he sees young adults with psychotic symptoms associated with heavy marijuana use “every day” in his hospital. It’s unclear whether the psychosis is caused by marijuana or if the individual is using marijuana to cope with early emerging signs of a mental illness. However, a number of studies have suggested a connection between psychosis and marijuana. 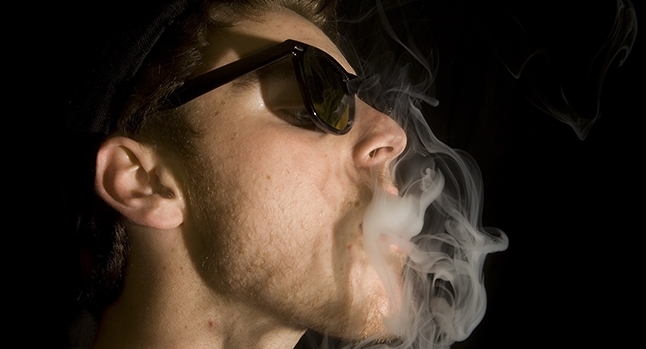 The takeaway: Youth need information about pot’s potential dangers.